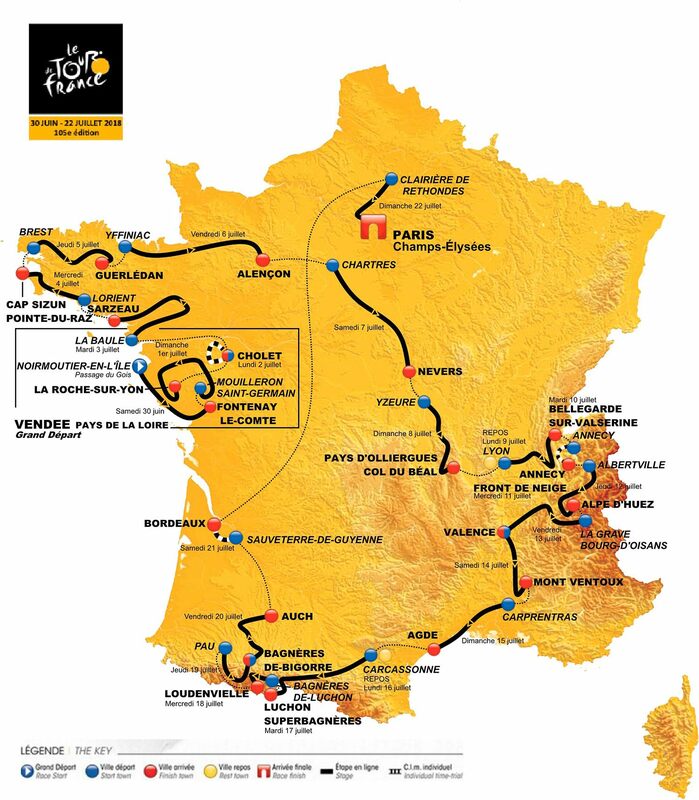 Tour de France own races, Etape du Tour, to run next year in two editions. This is because the interest to get the test one of the tour’s actual stages are too big and that the ceiling at 10 000 participants means that the Organizer ASO may opt out of many cyclists. 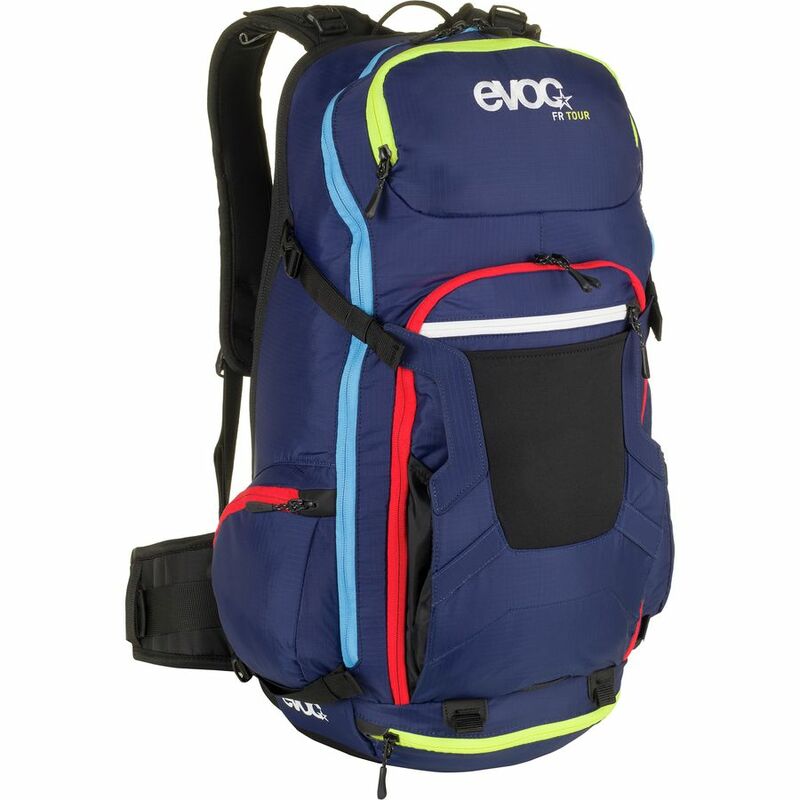 Why do you choose that next year run two editions of sports race in two different strains of the 2011 Tour de France. The first run Monday, July 11, on the stage between Modane Alpe d’ Huez Valfréjus and. 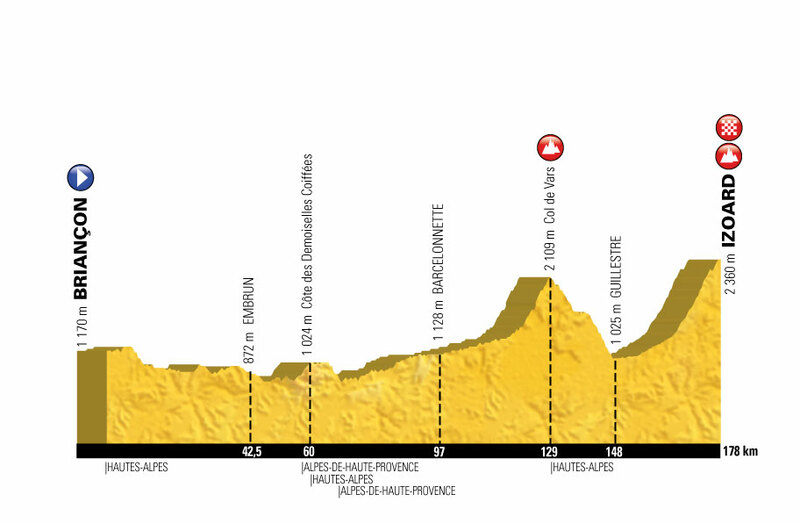 As well as the actual Touretappen, the 19e decided ten days later here, is the only 109 kilometres long. 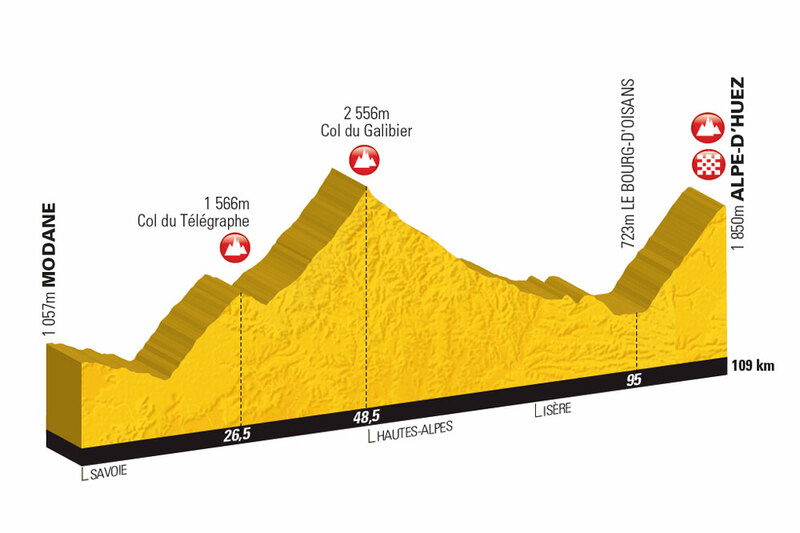 But that’s not what 109 kilometres-or how about climbs Télégraphe, Galibier and Lautaret and then a lovely ending up l ‘Alpe d’ Huez! The second run Sunday, July 17th between Issoire and Saint-Flour. 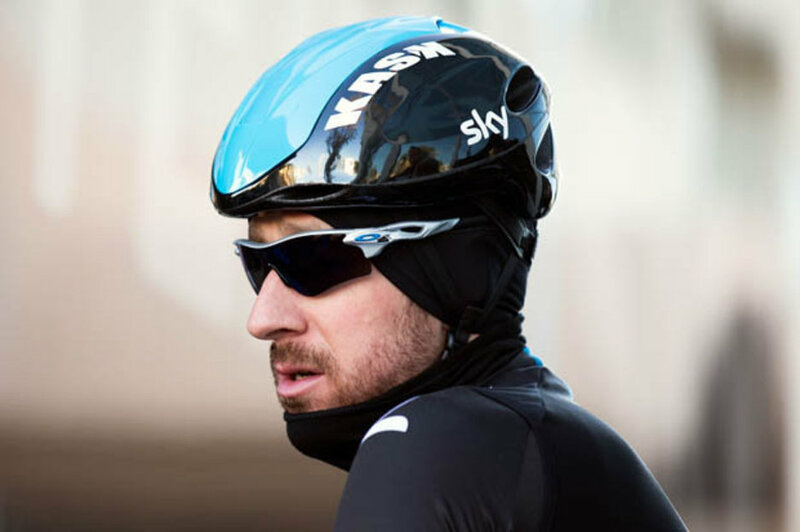 It is the longer, 208 kilometres, and very hilly with small and big climbs throughout the day. 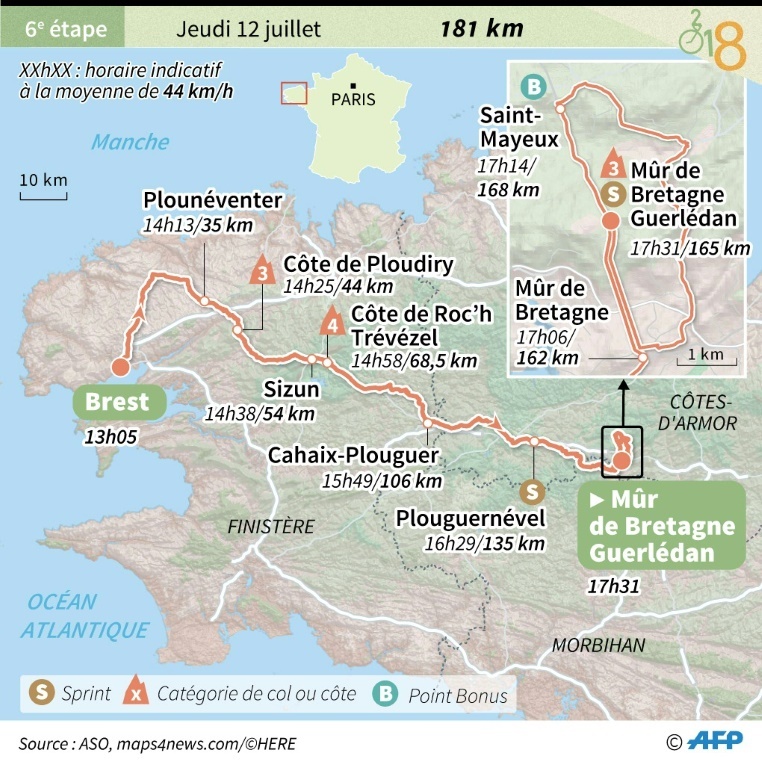 This route through the Massif Central have already passed the Tour de France then it constitutes the ninth stage which determined this a week earlier, on the 10th of July. 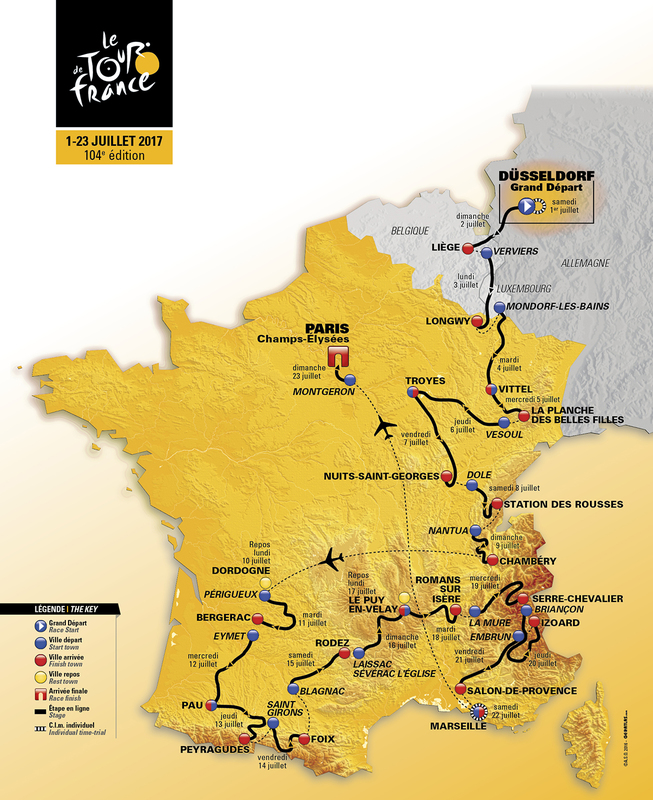 If you live near these two routes between 10th and July 22 can be run both jogging races and see the actual Tour-stages as extensions goes on. In addition, there is the opportunity to see more of Alpine stages that goes 19-22 July. Time to start planning your vacation? 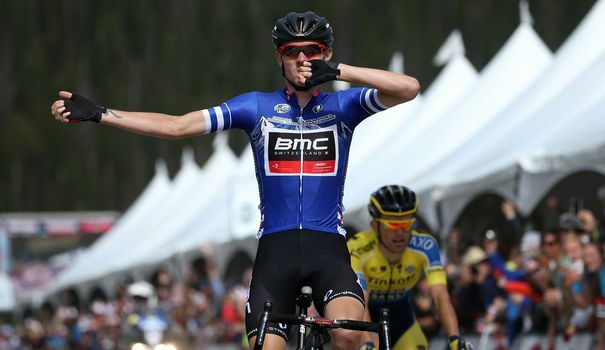 In addition to the news that one chooses to run two races on two of next year’s Tour-stages launches ASO also a Paris-Roubaix-motionslopp in-house. The 9th april run to Paris-Roubaix Challenge, 135 kilometers from Saint Quentin to Roubaix with most of the best in paving stone path. 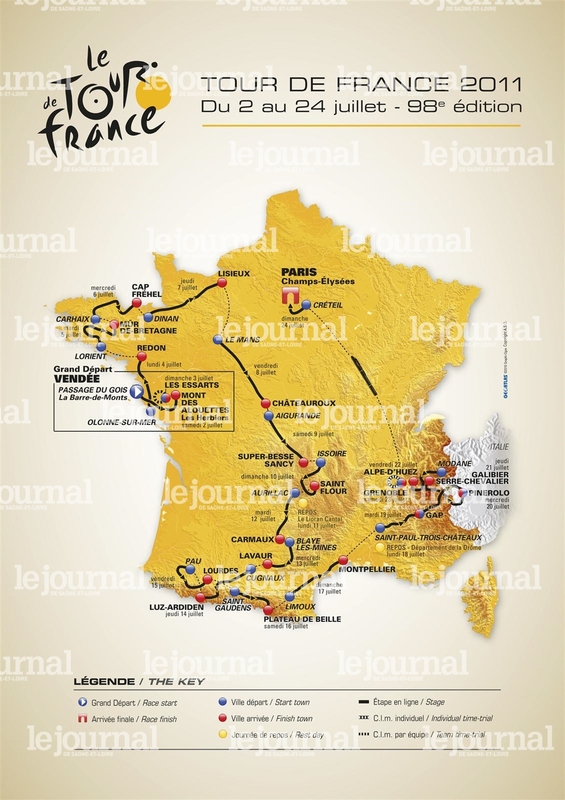 Le Tour de France 2018 passe par le Morbihan !